Occasionally patience is overrated and I grow tired of waiting. Sometimes I just want what I want and I want it now. When what I want is a certain type of plant and the weather gods are feeling kind, instead of cruising my favorite online sources I head straight to my local garden center and their table packed with native plants from American Beauties. Available locally and online, plants from American Beauties are the easiest and fastest way to add tough native plants to your garden. Rudbeckia in the native plant garden of Gail Eichelberger. Rudbeckia is one of the many plants sold by American Beauties. Native plants such as the purple coneflowers and Joe Pye Weed featured in this photo are powerful pollinator magnets. American Beauties plants are robust and well rooted. At the end of many work days, I head to my local garden center before heading home to find the perfect plants to add to my ever-evolving garden. Natives from American Beauties are always my first choice. Committed to the protection of our fragile environment, American Beauties is a generous guardian of the pollinators we depend on and recently donated $5,000 to Pollinator Partnership to support their efforts. Adding plants to your garden such as the mountain mint (pycnanthemum muticum) featured above, which is widely available from American Beauties, is an excellent way to attract and sustain pollinators. As much as I enjoy ornamentals, my true love is native plants and I stuff them into every empty spot in the garden. Tough and undemanding, natives take the worst that Mother Nature throws at them without flinching or crying for the shelter of a greenhouse. I've been ordering natives from Prairie Moon Nursery for the past 13 years. My first orange milkweed plants were ordered as bare roots from Prairie Moon and stored in the fridge until I was ready to plant them. As long as no one chopped them up and tossed them in the pasta, all was well. I didn't have to worry about keeping them watered while I was at work. They simply snoozed in the vegetable crisper while I waited for cooler weather. Dodecatheon in my garden is a spring ephemeral. Prairie Moon is home to amazing native plants you've probably never heard of but need to add to your garden. Unavailable at most local nurseries, natives from Prairie Moon are available as bare roots, potted plants and seed. Their website is the first place I go when looking for plants for dry shade that also attract pollinators. I've purchased yellow pimpernel (taenidia integerrima), aster laevis, as well as phlox pilosa to fill my dry shade and keep the pollinators well fed. I could say I have no idea what it's like to love something so much you devote your life to it but I can't. Combining a career with a genuine passion is a wonderful to spend a life. 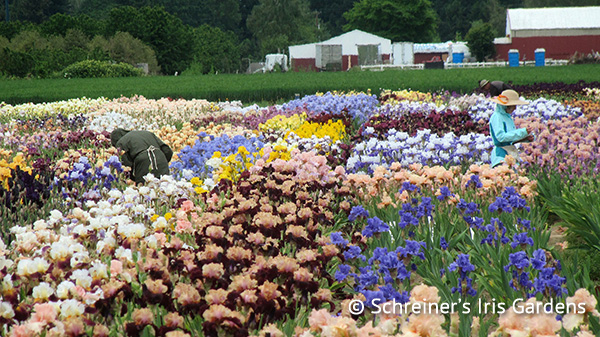 Started as a family business in 1925, Schreiner's Iris Gardens has grown from a hobby to the largest grower of iris in the country. 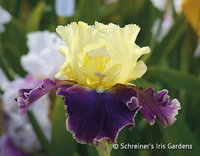 Internationally recognized as the best iris hybridizers in the world, Schreiner's sells iris online as well as at their ten acre display garden. To help name their new hybrids, they hold an annual naming contest. How fun is that? Open to the public every year in early May, Schreiner's is a top garden destination for iris lovers across Oregon. Every rhizome is hand dug and guaranteed to be winter hardy and pest- free. For every $50 you spend, you're gifted a free iris. Cruising their amazing online catalog is a wonderful way to spend a winter evening. Fields full of iris at Schreiner's Iris Gardens. Plant Me Green: Gorgeous Plants, Guaranteed! I don't know about you, but I wish life came with more guarantees. Instead, we are only guaranteed the one true constant in life: change and the roller coaster that goes with it. 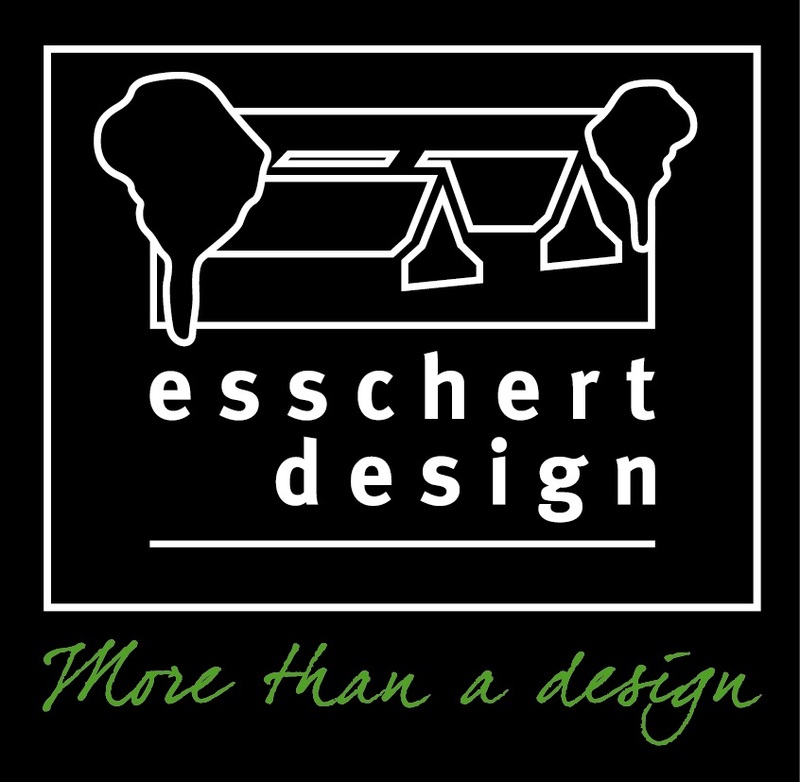 There's enough uncertainty in life so I love finding a nursery that eases my concerns about the quality of their plants. 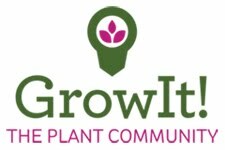 Plant Me Green is an excellent online nursery specializing in trees and shrubs, especially pecan and fruit trees. They're the only nursery I've seen carry the same 'Althea Double Purple' Rose of Sharon shrubs I bought locally 13 years ago. This stunning drought tolerant shrub blooms all summer and is a magnet for hummingbirds and pollinators, especially butterflies. Located in Florida, Plant Me Green sells large, well developed plants at prices much lower than those of many local nurseries. They carry 30 varieties of pecan trees, including numerous varieties available as bare root, as well as a wide selection of fruit trees. 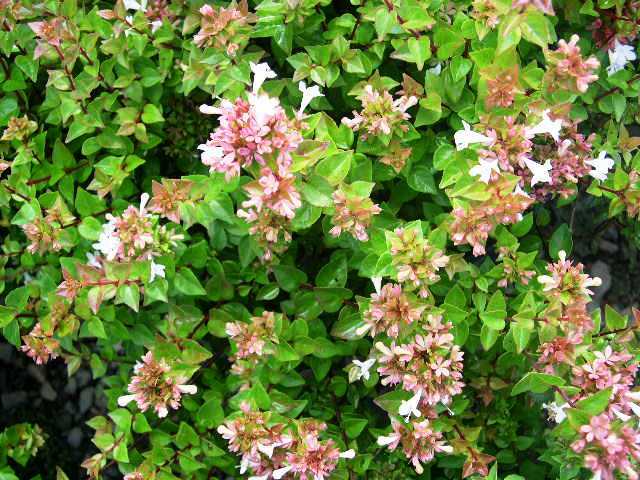 'Rose Creek' abelia is another excellent, low maintenance shrub they sell that also grows in my garden. Any order placed with PlantMeGreen may be cancelled prior to shipping from our warehouse. Once the plant is shipped, all sales are final. There are no refunds. This being said, customer satisfaction is still our goal. 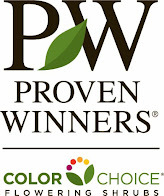 Every potted plant we sell is covered by a conditional one-time replacement guarantee. If your potted plant fails to survive the transplant process, we will replace it within one year from the date of purchase as long as its condition may be reasonably and fairly attributed to us. All orders of $100 or higher qualify for free shipping. While Plant Me Green won't guarantee perfect weather or world peace, they will guarantee a healthy plant grown by a dedicated staff and some of the best priced trees and shrubs around. Maybe it's from having lived in deep south to the frozen north, but when I'm choosing perennials for my garden, I need them tough enough to withstand the worst Mother Nature can throw at them. I don't have the time, inclination, or money for plants that are wimps. There are no divas allowed. To find the most heat and humidity resistant natives and ornamentals, I head straight for Niche Gardens. Located in North Carolina and specializing in nursery-propagated wildflowers, natives, perennials, and grasses, Niche is an absolute gem and my garden is stuffed with their plants. They also offer a small selection of unusual shrubs and trees. White 'Delta Snow' phlox is the best phlox for southeastern gardens. It's more drought resistant than most phlox and doesn't mildew. 'Delta Snow' phlox is the toughest, most mildew resistant phlox I've ever grown. Purchased from Niche, it gently seeds around my garden giving me sturdy seedlings I can pass on to lucky friends. It is impervious to heat and humidity and keeps happy company with other powerhouse varieties of phlox they sell. Home to many natives such as Short's Aster, an outrageously tough plant for bright dry shade, Niche offers the best plants for southeastern gardens. Plants are available online or at the nursery. Every plant sold at Niche is pesticide-free, which is still a rarity. 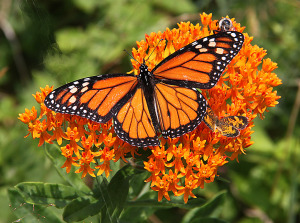 You'll never have to worry that your new plants are poisoning the very pollinators they attract. What you'll receive instead is the carefully packed, robust, healthy plant you were hoping for when you ordered. Spigelia marylandica, a native wildflower, purchased from Niche.